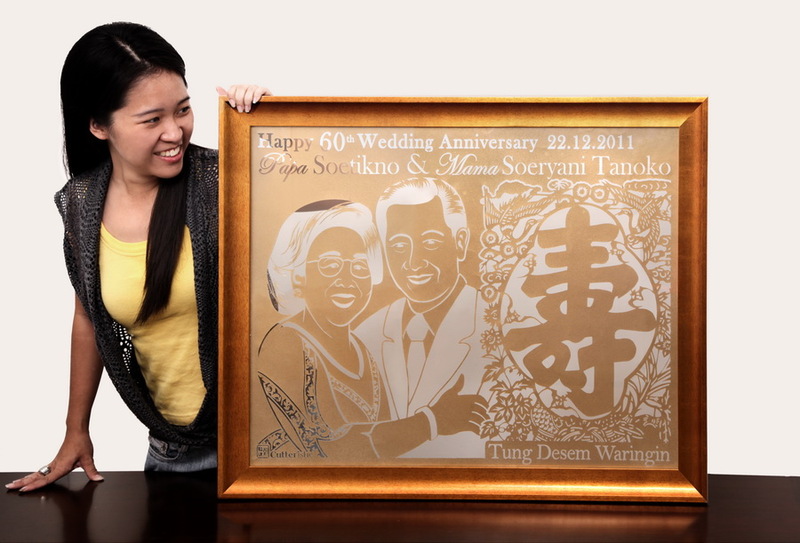 Thank you Mr. TDW for your trust in Cutteristic creating a 60th Wedding Anniversary Gift or your role model, Mr. Soetikno & Mrs. Soeryani Tanoko. 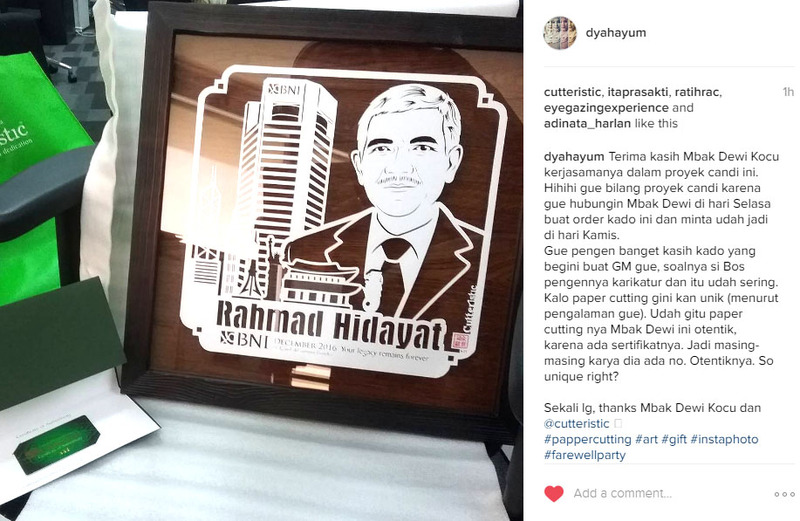 “Paper cutting art Indonesia for wedding anniversary gift, handmade cutting using cutter on carton. Surprise your partner with a perfect unique, special and exclusive gift on your wedding anniversary. 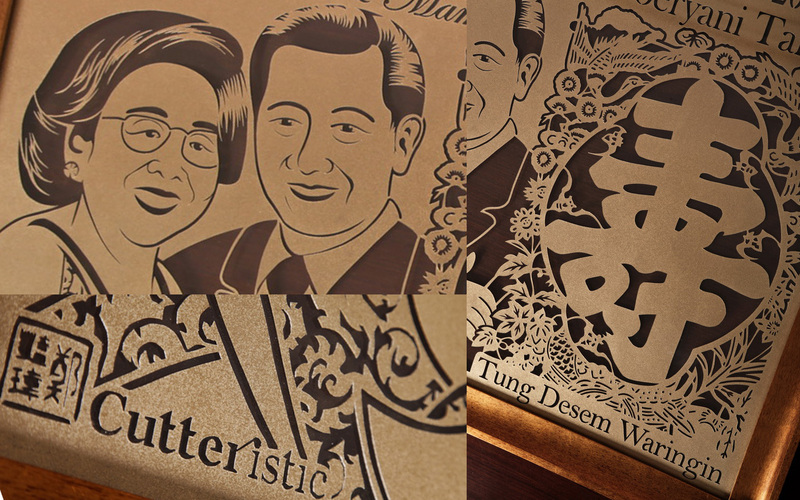 Write your favorite love quote in the paper cutting which will be displayed in double glass wood frame.